Aaron’s Restoration is the leading home disaster recovery, repair & restoration service in Southeast Michigan. We are experts in everything from fire damage and flooding, to storm damage and water removal. A veteran-owned business, we have been helping disaster-stricken homes and businesses with restoration needs for over 15 years, in Wayne, Oakland & Macomb County and the surrounding areas. The impact that a disaster has on your life cannot allow you to wait around – you have to take immediate remedial action to repair your home/office. Aaron’s Restoration has the highest level of skill and experience to help you recover within the shortest possible time. You can trust in us to help you get your life back to normal. We will respectfully work with you – and aggressively work with your insurance company – to ensure that your repairs & your insurance claims are handled as quickly and easily as possible. 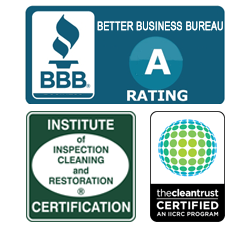 Whether you are in need of top-to-bottom home/office cleanup, emergency restoration, fire restoration, or other restoration services, Aaron’s Restoration is here for you. Water damage can be caused by flooding, damaged or leaking roofs, ice dams, burst pipes and more. Our water mitigation experts have the skill and experience to rapidly handle different types of water damage, including rusting, rotting, carpet removal, wet clothes, furniture & property restoration, and more. Our water mitigation services ensure that all excess moisture is completely removed to enable restoration to take place. Fire damage can be among the most devastating type of damage to a home and your personal property. Our skilled and experienced fire damage restoration experts understand that your life has been turned upside down. We work to rapidly salvage everything possible, and to repair and restore your home to its previous condition. Smoke damage caused by a fire, can be as devastating as the fire damage itself. Smoke damage can discolor walls, furniture, fixtures & other surfaces. The smoke smell permeates your home, furnishings, drapery & clothing. Our smoke damage cleanup professionals have the skill, equipment & experience necessary to remove the smoke smell, soot and charring – and restore your home to its livable, lovable condition. 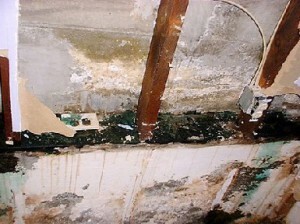 Sewage backup not only destroys property, it also poses serious health risks. Delay in sewage removal increases the chances of people coming into contact with the contaminated water. In addition, failing to conduct sewage cleanup in Michigan allows the sewage backflow to introduce harmful micro-organisms into your home or building’s structure. We offer immediate, 24/7 sewage removal and cleanup services to prevent sickness caused by contaminated water. Our skilled and experienced technicians have the experience and the equipment to remove the sewage, eliminate the smell and ensure that no harmful bacteria remain in your structure or furnishings. We will salvage, repair and restore as much as possible – while removing and disposing of anything that presents a hazard. Our storm damage restoration and repair services are available 24/7 to prevent further damage to property, as well as to remove any potential safety hazards. Whether it is debris that is scattered all over your yard, a sewage backup, flood damage, or burst water/drain pipes etc, we offer an immediate response is to enable you to get back to a normal life. If you have experienced Storm damage caused by severe weather, wind, snow, hail, tornado or hurricane, our emergency storm cleanup services are here to enable you recover from the disaster. We have helped thousands of residents across Southeastern Michigan – including Macomb, Oakland & Wayne County – rapidly get their home, commercial building, yards, lots & parking lots back in order after a storm. Ice dams occur when accumulated snow on sloping rooftops starts to melt and flows down the roof. If the snow hits a pocket of air below freezing temperature, ice forms and accumulates to form a dam. Ice dams cause leaks similar to those of a burst pipe in the home, leading to extensive damage to ceilings, insulation, roof structure and walls. Therefore, ice dam removal in Michigan should be done immediately after you notice the ice formation – to prevent structural damage and interior leaks. Our ice dam removal services keep your home or business safe from dangerous ice dam leaks. 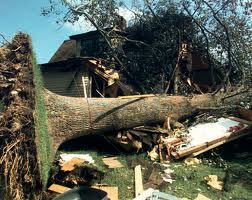 Wind damage can be caused by any high velocity wind. The unpredictable nature of high winds may make it difficult to prevent wind damage in Michigan. However, Aaron’s Restoration can make your cleanup effort stress free. Aaron’s Restoration has the expertise and experience in helping home and business owners rapidly repair wind damage and recover from weather related disasters. We will help you through the most difficult moments. One of the most common types of damage caused by storms, wind, ice dams, fire and other disasters is roof damage. When your roof is compromised your home is unlivable and the entire contents of your home are in danger of being destroyed. We offer 24/7 emergency roof repair services in Wayne, Oakland and Macomb County – and the surrounding areas – so that your roof can be immediately repaired and the contents of your home protected.